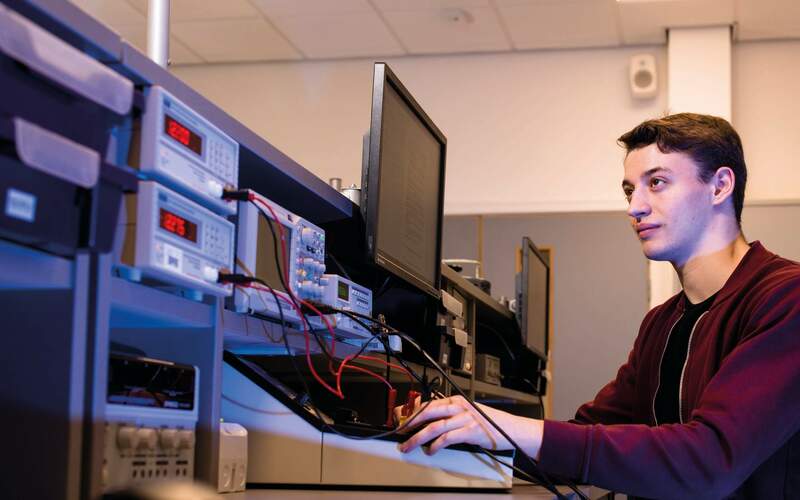 If you’re seeking a career in the vanguard of future technologies, we can give you a real advantage at a time when electrical and electronic engineering is one of the UK’s most in-demand professions. Based in specialist labs at our impressive new STEM Centre, you will learn from an expert team conducting significant research in the field. Your learning will be enriched by our strong research and industry links, and you will have the opportunity to take part in visits to companies such as Mitsubishi and the National Physical Laboratory to see theory in action. The applied research you conduct with our staff will lead to very deep subject understanding, and possibly to published papers.